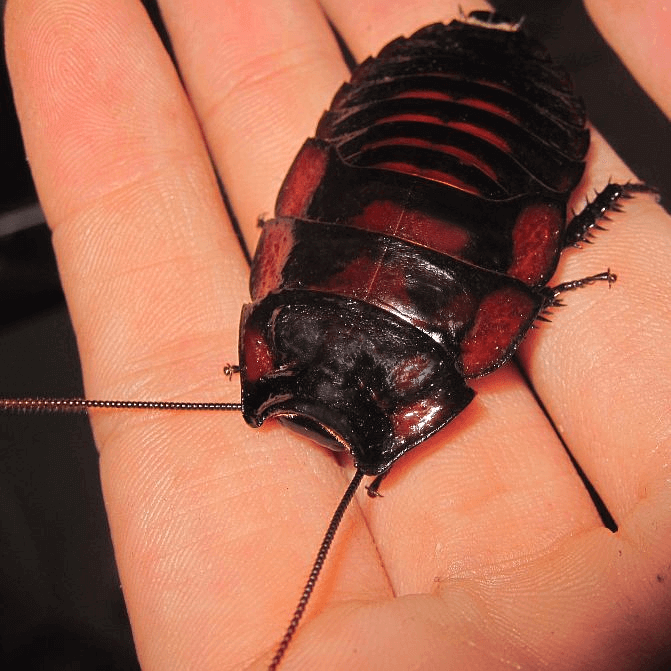 The Flat Horn Hisser is a beautiful, large, aggressive-looking but very tame tropical roach. They are very easy to care for and make great pets! 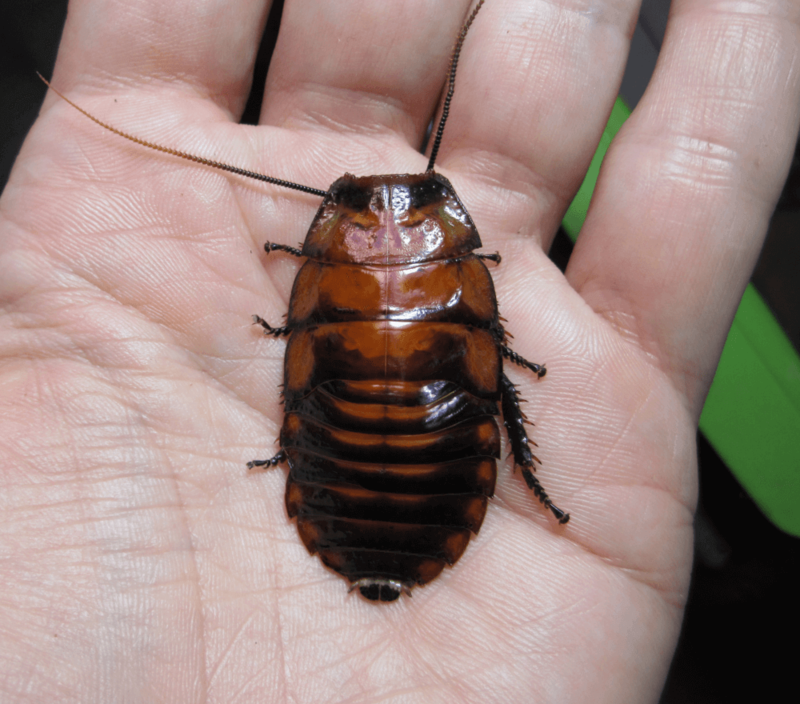 Aeluropoda insignis – commonly known as the Flat Horn Hisser – is a hissing cockroach from Madagascar. 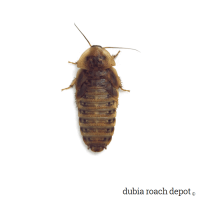 If exotic tropical insects are your thing, you’re in to hissing roaches, or you’re looking for a fun and interesting aquarium specimen or even a pet, these are a must-have! To start, Flat Horn Hissers are beautiful in both color and form. Their pleasingly symmetrical shape is augmented by a deep red/orange/purple/mahogany color. Males appear masculine and aggressive with their horns and large black legs. However, appearances don’t always tell the whole story in the insect world. 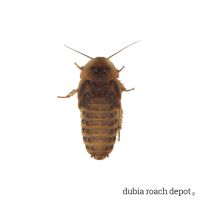 These roaches tend to be calm and easily tamed with regular handling. One thing about being a huge insect is that you have fewer predators, and this comes through in their generally relaxed attitude. Flat Horn Hissers are still relatively rare and not available from many cockroach breeders. The species tends to reproduce slowly because females carry relatively few nymphs, but they’re just as easy to breed and keep as other roaches from Madagascar. In fact, they’re quite easygoing, and they thrive in a wide range of conditions. Keep them between 70°F and 85°F for general good health. Maintain temperatures at the upper end of the range for breeding. As their name implies, Flat Horned Hissers are flat as a pancake! Their bodies are wider and much flatter than the common Hisser. There are a few exceptions – like gravid females with abdomens full of eggs and roaches after a heavy feeding. However, most of the time, most of the roaches are more like a Frisbee than a football. They also have horns, or so they’re called. Both sexes have them, but they’re much more prominent in the males. They consist of two large, flat-black protrusions on the back of their shell. They are sandwiched between two massive antennae, and they’re quite cool looking. And again as their name implies, Flat Horn Hissers do hiss. The males make a fairly prominent hissing sound when disturbed. It’s similar to the sound cats make when threatened, but not nearly as loud or menacing. They make this hissing sound by squeezing air through a special cavity located in their abdomen. And interestingly, they actually have different hisses for different purposes. Mating, fighting, and “general alarm” each have a different tone, and with a little experience you can tell the difference between hisses. Like other hissing cockroaches, the Flat Horned Hisser can grow fairly large. Males can reach up to about 3-½ inches and possibly more depending on diet and living conditions, and they live up to 5 years. Females are usually a bit smaller than males. They eat a wide variety of foods but prefer apples, bananas, squash, carrots, and our roach chow. Their housing should include plenty of dark space and some material like cardboard egg crates to move around on. You can also use natural materials like wood and leaves if you prefer. Because they can climb glass and smooth plastic, you’ll need to provide housing with either a tight lid or a 2-inch strip of petroleum jelly around the rim. Females are typically smaller than males, and they give birth to around 10 or so nymphs. Because they carry their young internally until birth, you don’t have to provide any special substrate for breeding. As far as humidity goes, they like it at about 60% and up. Flat Horned Hissers are great for children and others with little or no experiencing keeping insects. They’re cool, interesting to look at, they hiss, they can be handled, they’re harmless to humans and other animals, and if they escape, they will simply die. As far as we know, the only two states in which they could survive and colonize in the wild if they were to escape are Hawaii and Florida, and both states restrict their importation. 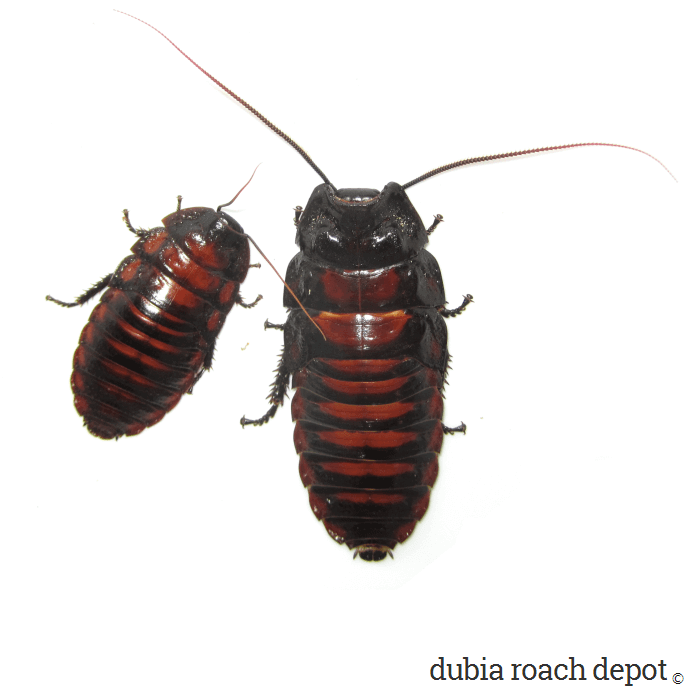 They’re also relatively clean members of the already clean cockroach family. Their waste dries into frass, which is easy to remove. And even if high humidity leads to moisture, their frass tends to remain relatively non-nasty. 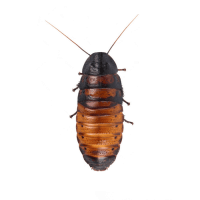 Our experience has always been that the food we feed our roaches has a much higher potential to become foul than anything else in their enclosure. NOTE: We treat our Flat Horned Hissers the same as our organic Dubia roaches, which means they get only organic foods. Beautiful Aeluropoda insignis specimins. I bought 2 males and 2 females and they were healthy, large, active, and beautiful. I highly recommend! Simply awesome. These are the best I’ve seen. I received superb adult breeders and am very happy. Ordered a breeder pair and a few small ones. Everything was packaged well and all roaches made it alive. I’m very happy with this purchase! These roaches are awesome! Very cool, and beautiful. They came alive, and happy for sure. But the packaging could use a little work, maybe add something else inside the container to keep them from being tossed around a huge amount. Other then that, I’m happy they came in a short amount of time happy, healthy, and alive for the most part. I’ll be ordering more in the future! – Thank you for the packaging feedback!